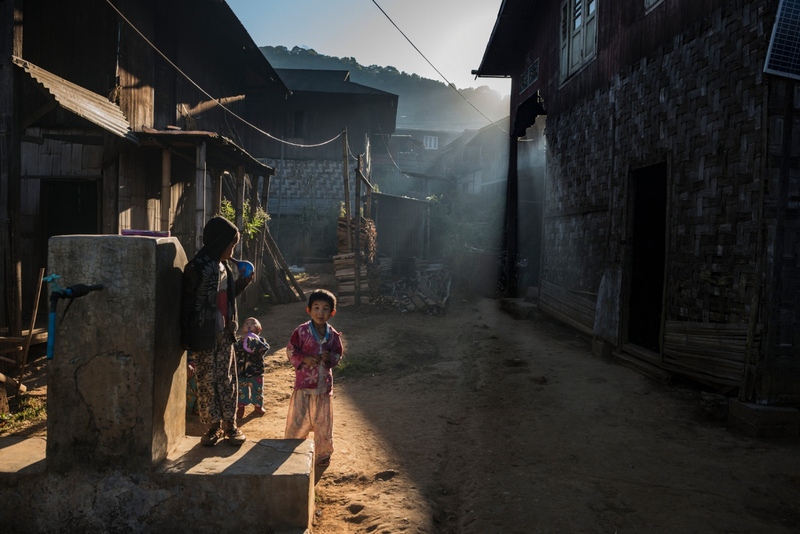 Children in the streets of a opium producing village in Shan State, Myanmar. 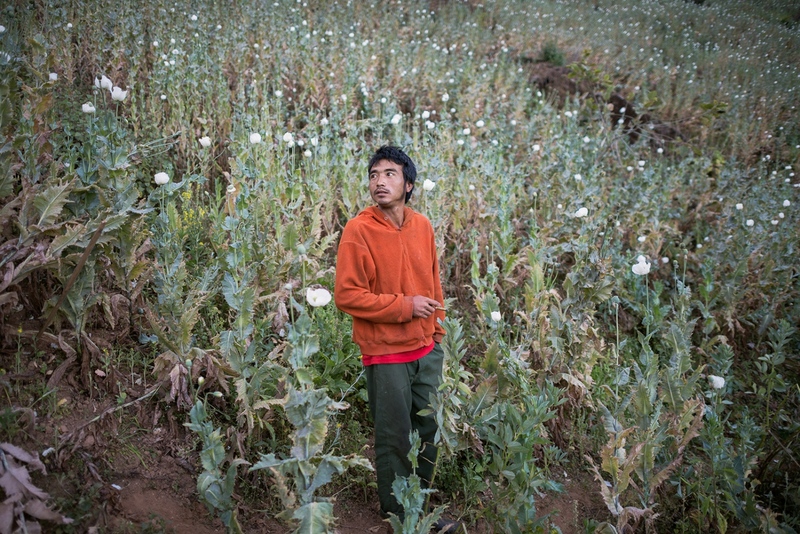 Most farmers and workers here say they would rather grow something else than poppy, but that it is the only way for them to send the kids to school. 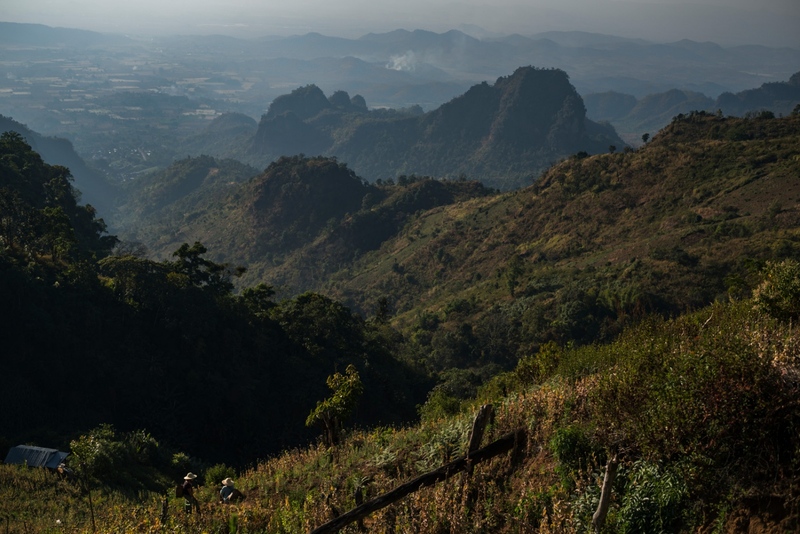 Workers and farmers on their way to the poppy fields in the mountains of Shan State, Myanmar. 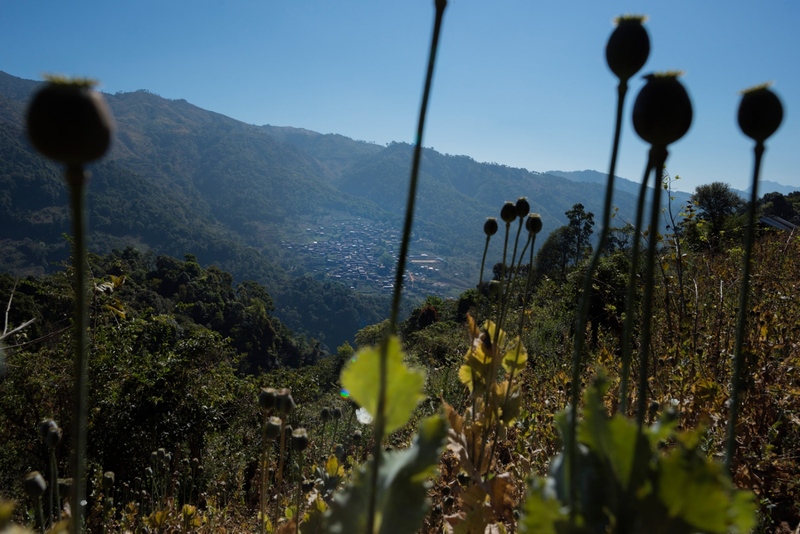 Poppy pods on a mountain side overlooking a village in the mountains of Shan State, Myanmar. 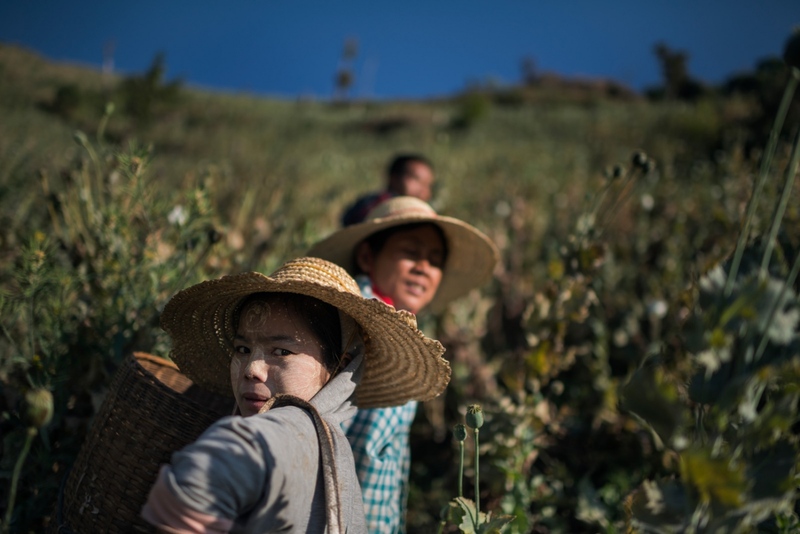 Workers in a poppy filed in the mountains of Shan State, Myanmar. 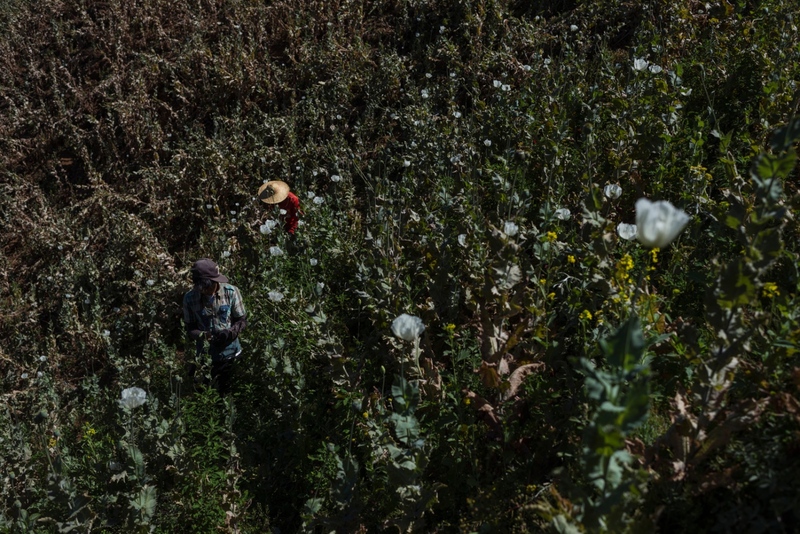 A worker is harvesting opium in the mountains of Shan State, Myanmar. Workers and farmers on their way back to the village after a days work in the poppy fields in the mountains of Shan State, Myanmar. 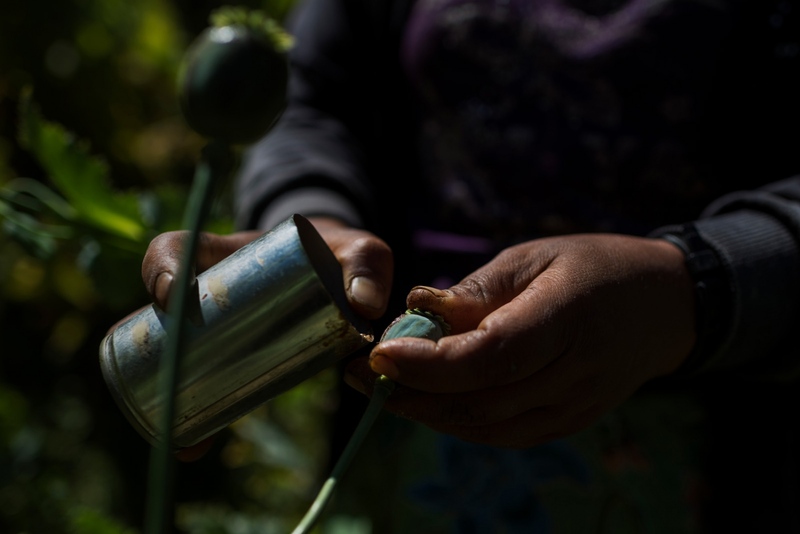 In a neighboring village to the opium farmers the usage of opium is widespread. An active user demonstrates his pipe, lying on the floor lighting it over a small candle. 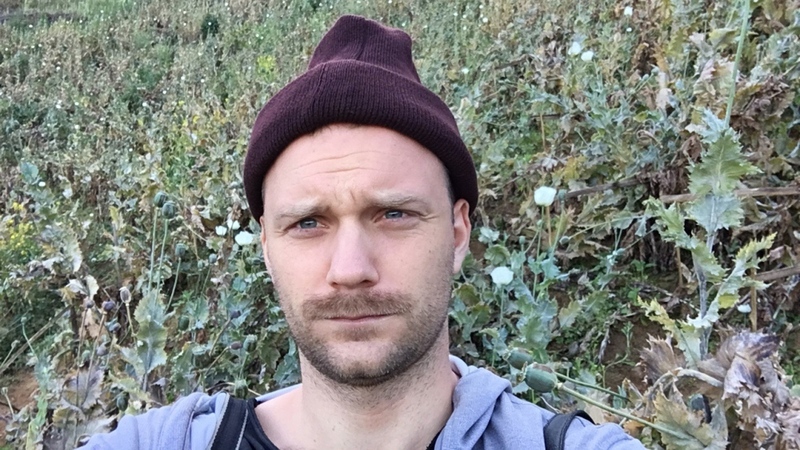 A 20 year old opium addict. His mother cries and asks for help. 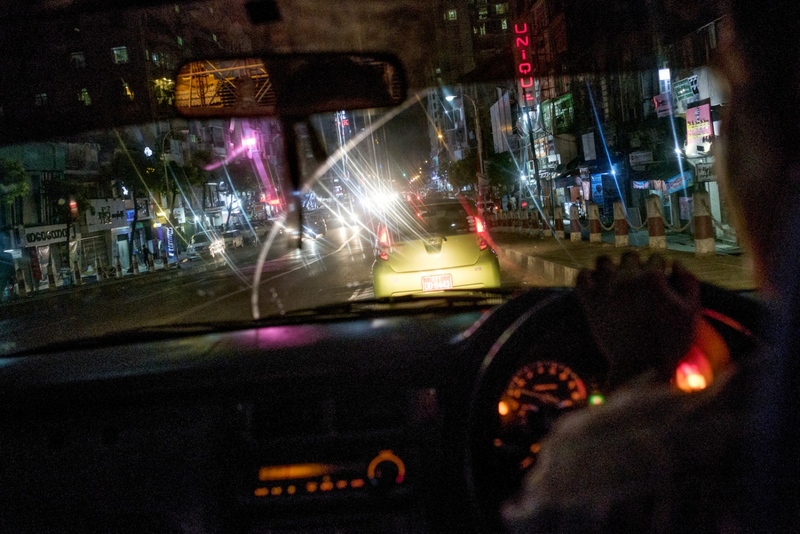 He wants to leave the village and go work somewhere else, where he can be free of the drug. So far he has not been able to afford it. 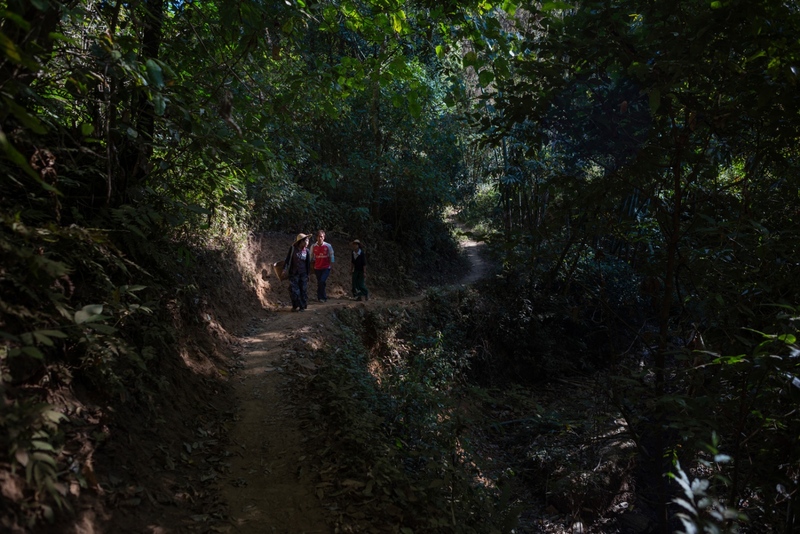 Many people have trouble getting treatment here, in a village in Shan State, Myanmar. 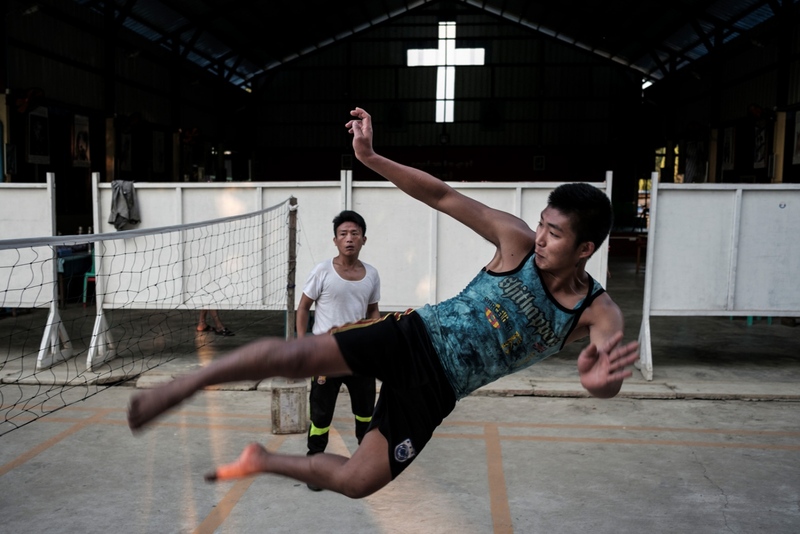 Clients play Chinlone, a popular local sport, at a Catholic drug rehabilitation center in Myitkyina, Kachin State, Myanmar. 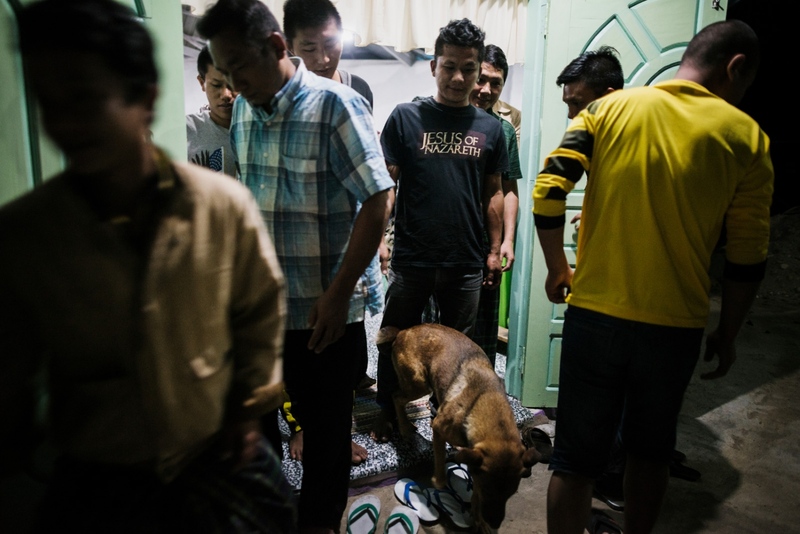 Clients after daliy evening prayer at a Catholic drug rehabilitation center in Myitkyina, Kachin State, Myanmar. 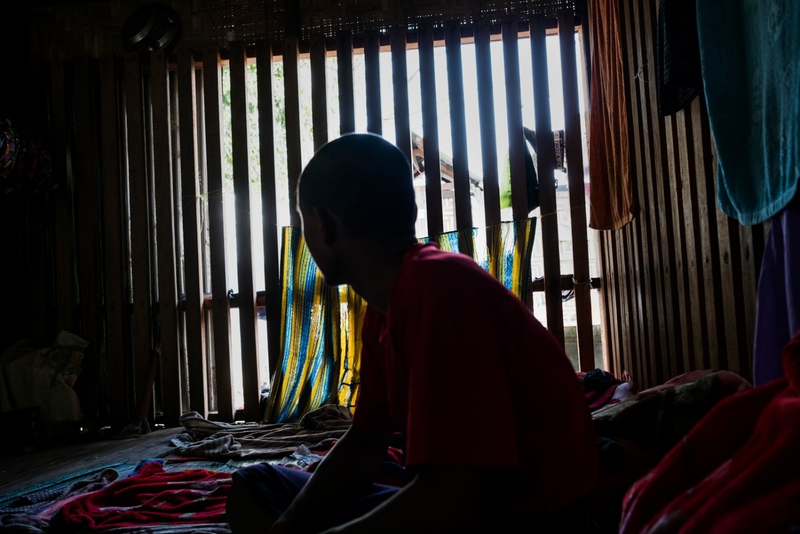 The 25 year old drug user has completed his first week of rehabilitation locked up in a wooden cage in one of Pat Ja Sans Drug rehabilitation centers in Myitkyina, Kachin State, Myanmar. He has a wife and child waiting for him at home. He was arrested by the Baptist run organisation and put in a rehabilitation center. 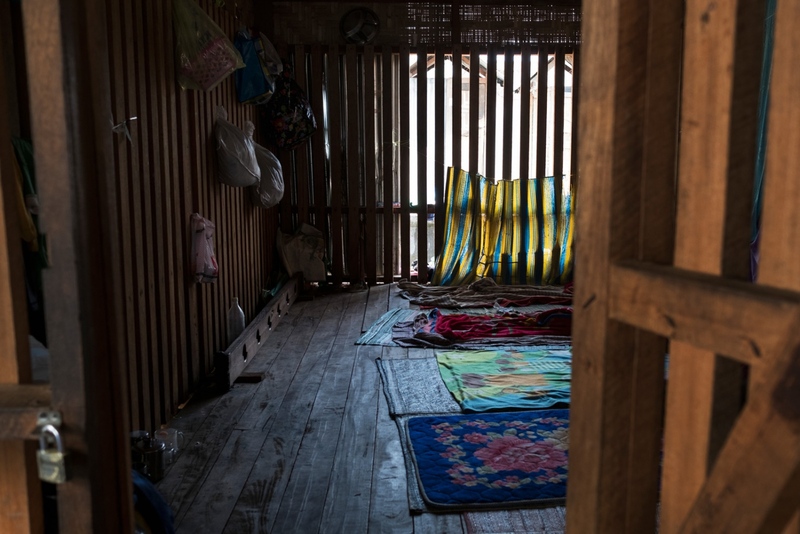 A look into a cage where new clients are put their first week of treatment at one of Pat Jasans drug rehabilitation centers in Myitkyina, Kachin state, Myanmar. 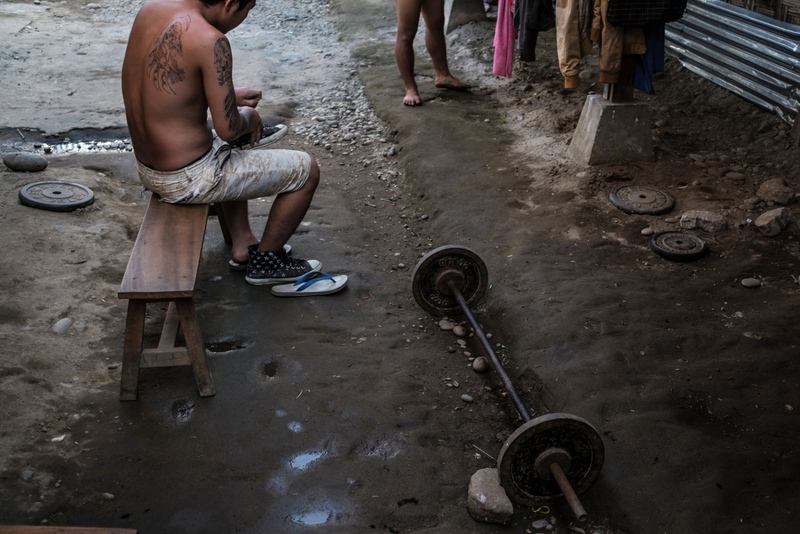 Clients in the yard at a Pat Jasan drug rehabilitation center in Myitkyina, Kachin state, Myanmar. 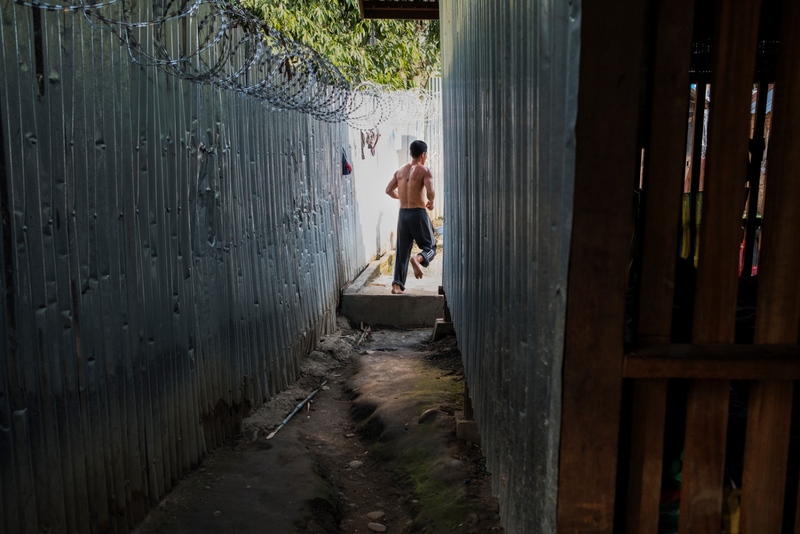 A client runs through an alley with barbed wire fencing at a Pat Jasan drug rehabilitation center in Myitkyina, Kachin state, Myanmar. 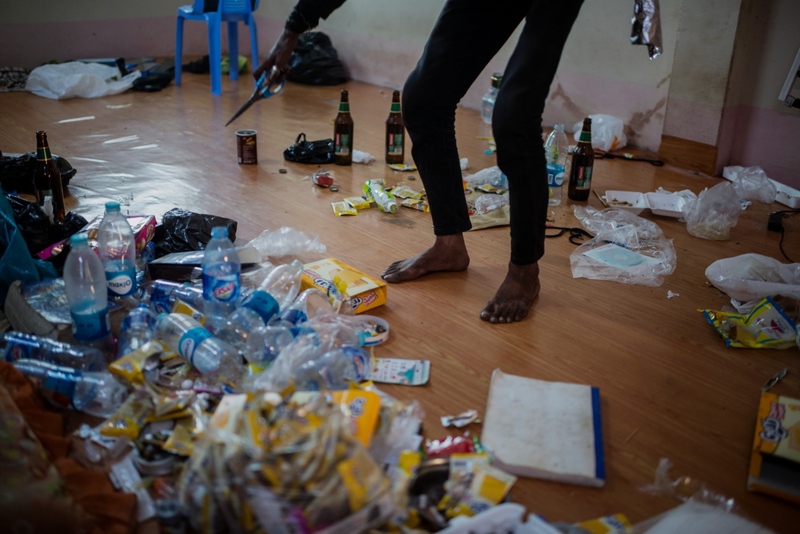 A man addicted to both heroin and meth starting to prepare his afternoon fix in his home in Yangon, Myanmar. A man addicted to both heroin and methamphetamine smoking his afternoon fix of meth in his home in Yangon, Myanmar. 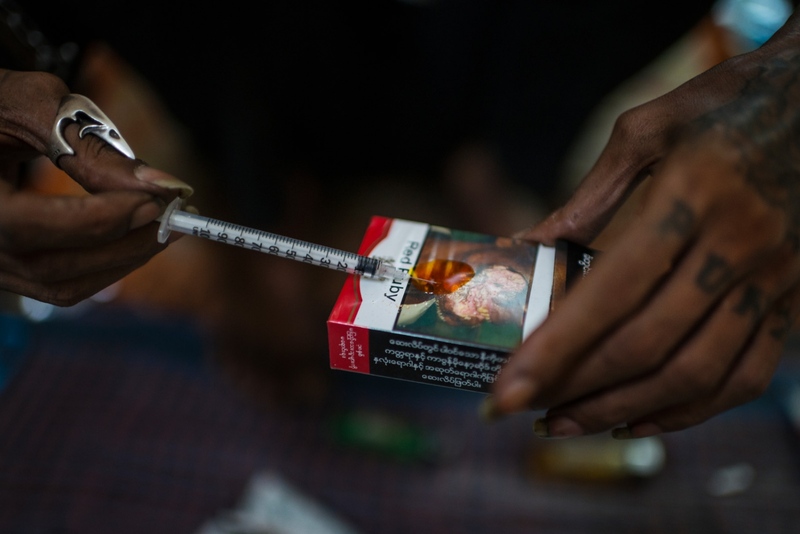 Burmese heroin loaded into a needle in Yangon, Myanmar. 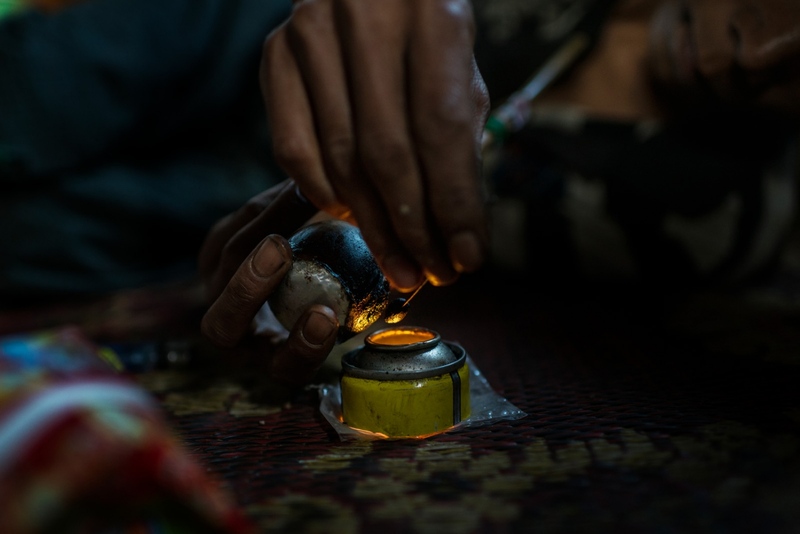 Myanmar is the second largest producer of opium in the world, after Afghanistan, and it is the main source of Methamphetamine. 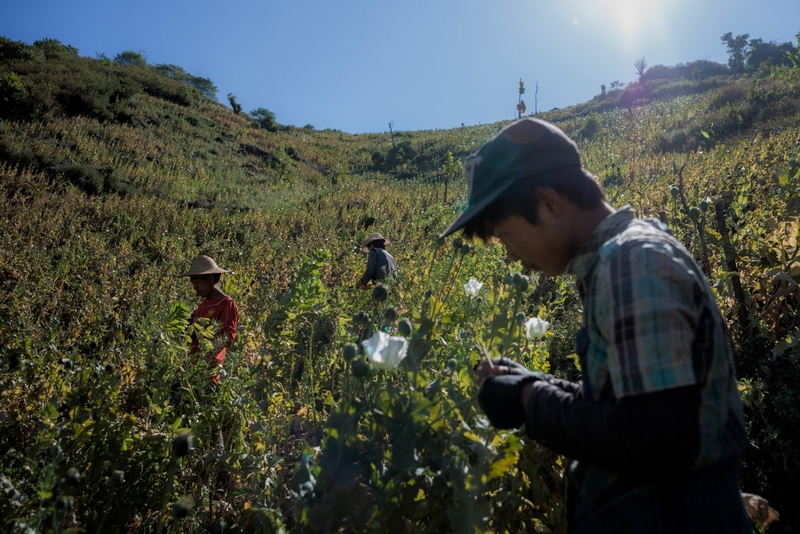 Farmers and workers in the the mountains of Shan State are growing poppy as a way to send their children to school. Others are using opium to get rid of the pain after a long hard working day. 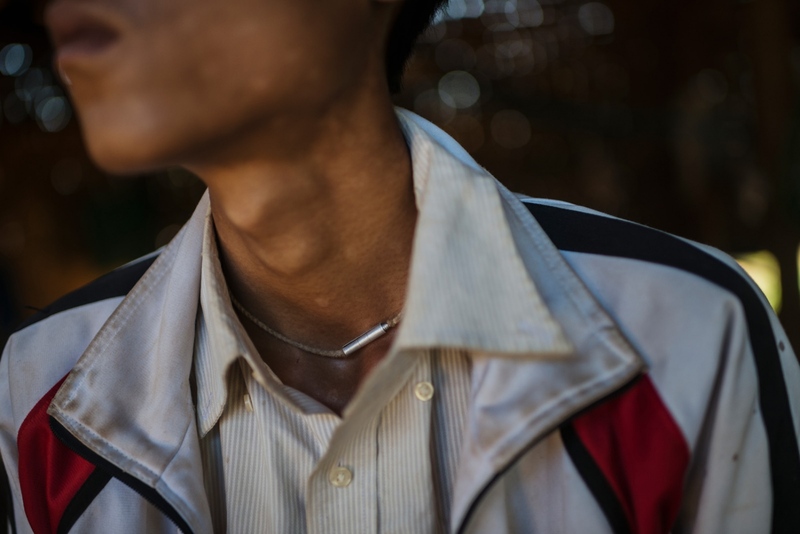 In Kachin State, the christian organization Pat Jasan is arresting junkies on the streets, giving them the choice of prison or rehabilitation. Their methods are cruel, locking drug users in wooden cages, and surrounding their rehabilitation centers with barbed wire.